Recently I told you, with all the astonishment I could muster, about The Seafood Bistro in Montgomery. 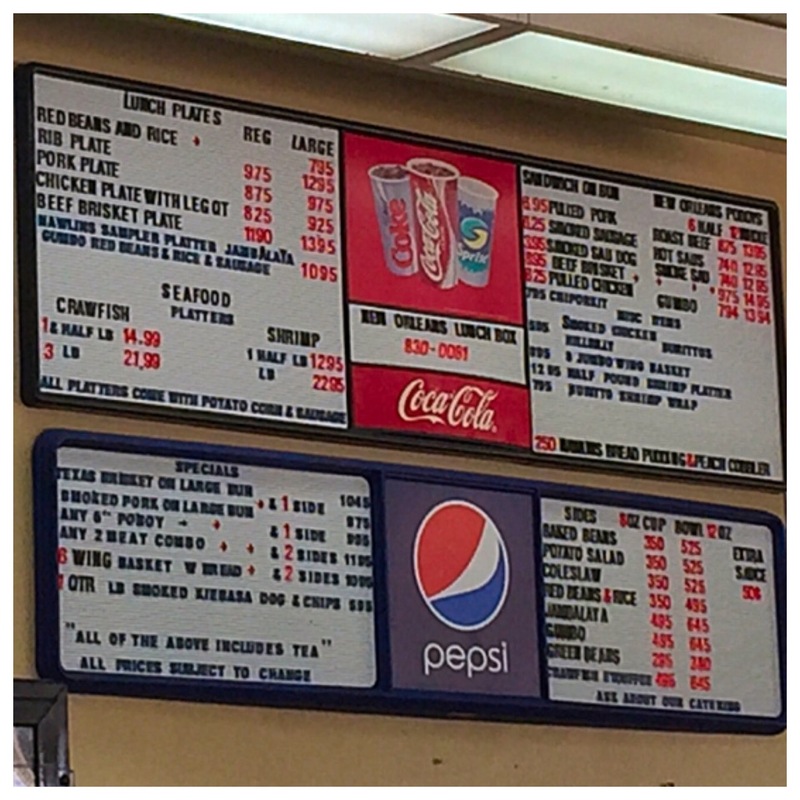 As you may recall, my shock and awe was a result of finding delicious seafood in a gas station restaurant. JD, always one to point out the obvious, reminded me that some of our favorite restaurants are in gas stations...Pikeville and KC's to name two. So, with apologies to all eateries serving up delicious grub in less than plush surroundings, here is another gas station surprise! 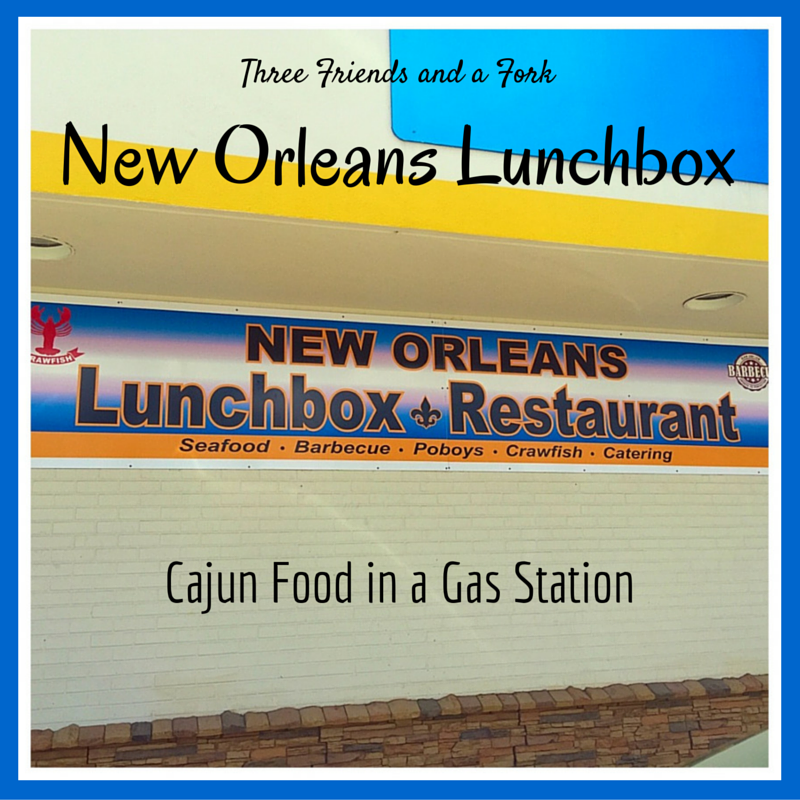 New Orleans Lunchbox is located at the corner of Holmes and Jordan in Huntsville. I've probably been by there a thousand times in the last five years, which is how long the eatery has been open, but never once did I notice it. 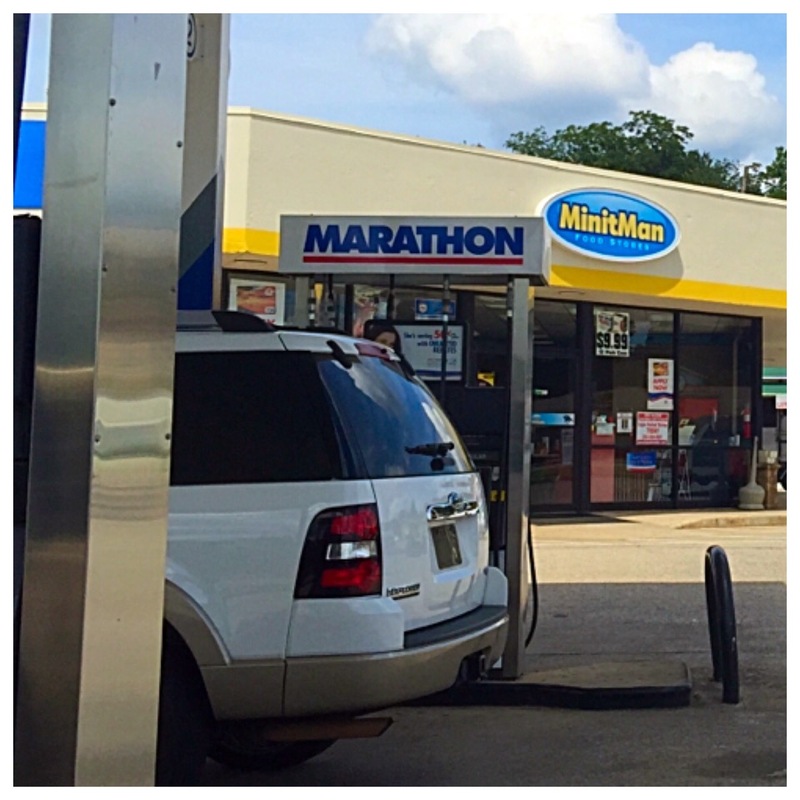 It is housed inside the Minit Man Marathon gas station. No, it is literally housed inside the Minit Man Marathon gas station. 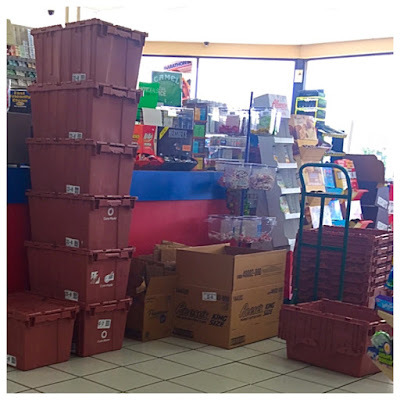 A shipment of items for the convenience store had arrived the day I was there. I watched as the items were being put on the shelves while I ate my lunch. Ok, so a gas station is not where you go if you are looking for ambiance or a romantic dinner for two, but if you just happen to be on the lookout for some really good food prepared really well, then look no further. 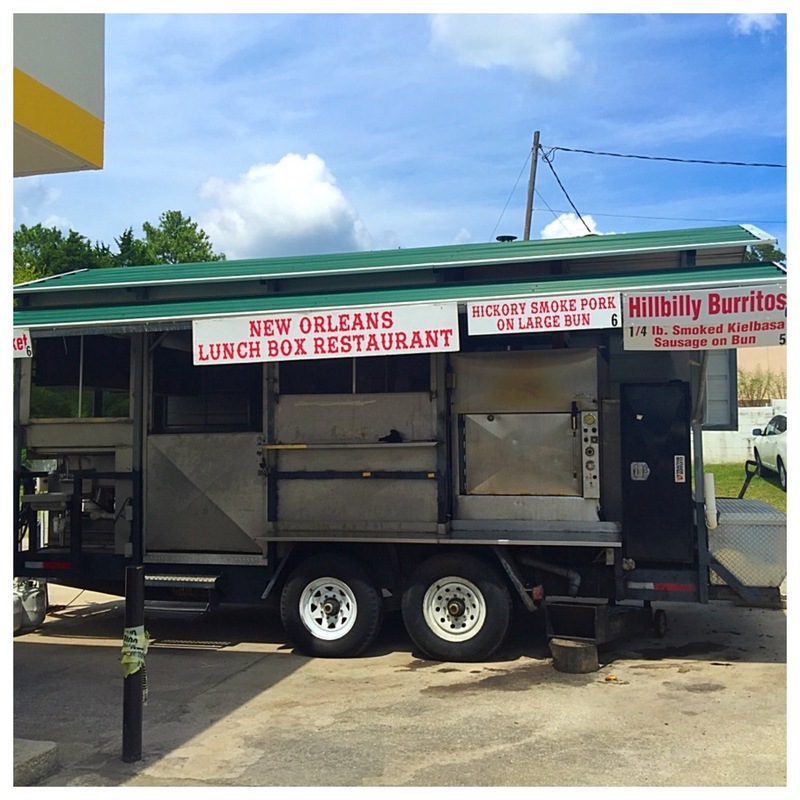 New Orleans Lunchbox, with their 94 health rating, has got it goin' on! The menu is extensive and definitely has a Cajun flair, with items like red beans and rice, crawfish, shrimp, jambalaya, gumbo and po'boys. You can also find pulled pork, ribs, smoked sausage, pulled chicken, and beef brisket. One item caught my eye, the Chikporkit, so I asked. Chikporkit is a sandwich made with pulled chicken and white sauce, pulled pork and brisket with barbecue sauce. 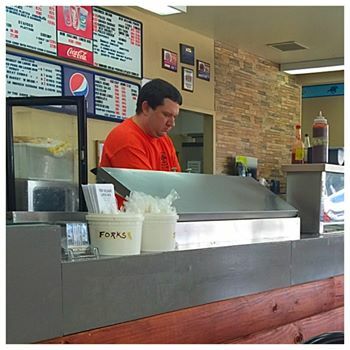 I think you would need a pretty hearty appetite to tackle that sandwich, so I kept looking. I finally chose a brisket sandwich. I figured if this place could do brisket and do it well, it would say a lot. The sandwich came with my choice of side, so I had potato salad. A pickle spear was thrown in for good measure. The verdict? That brisket was really good, tender with no creepy chunks of fat to sneak up on me. It was also huge! There was no skimping on the meat. 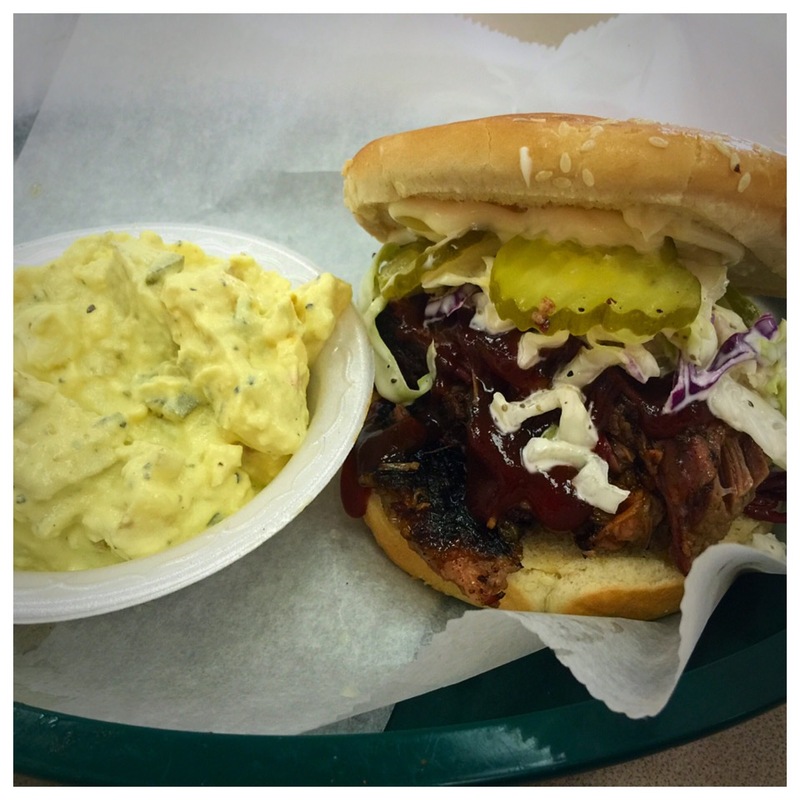 I also liked the sauce and the coleslaw that co-starred with the brisket and the pickles. By the way, I was asked what I wanted on my sandwich, so if you aren't a fan of condiments or pickles or mayonnaisy coleslaw, like Luanne, you can get yours naked, but I can't for the life of me imagine why anyone would want to. I was too full (I couldn't even finish the sandwich and the potato salad!) to sample the bread pudding, but I will be back to check it out, too. I am assuming, from the wheels I saw outside, that New Orleans Lunch Box goes mobile from time to time. If you see them out and about, you should definitely stop. Otherwise, head to the corner of Holmes and Jordan and check it out for yourself. Mais Oui! 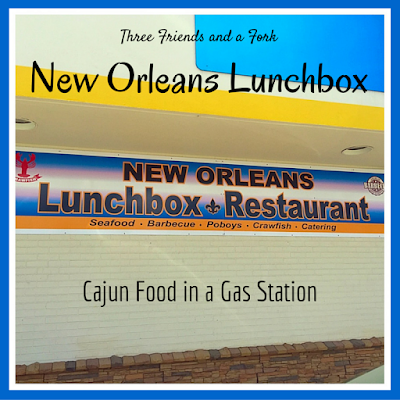 Three Friends and a Fork give New Orleans Lunch Box 3 Satisfied Yums UP!